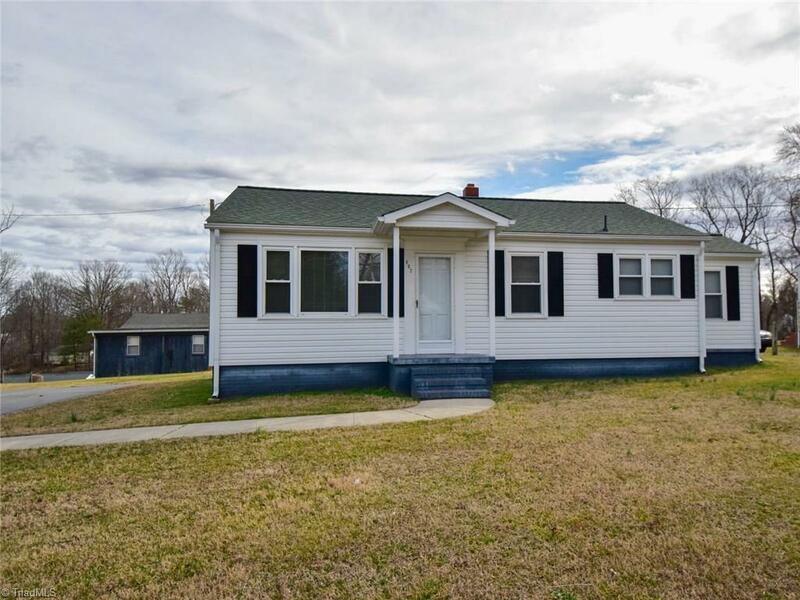 This charming 2 bedroom, 1 bath home is in an established neighborhood of Reidsville within minutes of shops, restaurants and hospital. Large 0.83 acre lot. Great for first time home buyers or those looking to downsize. Home has new carpet with hardwoods underneath. Beautiful, original wood paneling throughout home. All appliances stay. Dishwasher is new. Refrigerator to remain. Roof is 4 years old. 2 wired utility buildings with tons of storage. One has a window unit AC.